So Who Invented the Taxi? The taxi gets its name from the taximeter, which was invented by Friedrich Wilhelm Gustav Bruhn in Germany in the year 1891. In 1897, the first taxi with a fully functioning meter was invented by Gottlieb Daimler – it was called the Daimler Victoria. Gas-powered taxis came first to Germany, Paris, and London, and then to New York in the year 1907. What’s With the Yellow Color? The stereotypical yellow taxi color that is often depicted in movies (and in real life) came about in 1967, when New York created a law stating that all taxis should be yellow in color in order to make them more readily identifiable, This also cut down on fraudulent taxi drivers, since they either had to already own a yellow car or else pay hundreds of dollars to get their own car painted taxicab yellow. Are Taxis a Worldwide Phenomenon? Taxis have proliferated in all areas of the modern world and in various forms. While taxis can be either human powered or gas powered, we’ll focus on the more modern gas powered variety. In Afghanistan, soviet taxi cabs are the norm, whereas Australians prefer the classic Ford Falcon for their go-to taxicab. Other common car models used for Taxis are the Toyota Prius, Toyota Corolla, the Hyundai Elantra, the Scion xB, and the Volkswagen Type 1 (VW Bug). One thing’s for sure – the taxi comes in all shapes and sizes, with one goal in mind – to get passengers where they are going quickly and with excellent miles per gallon! What Cities Have the Most Taxis? Have another city in mind that you think has the most taxicabs? Leave a comment on this blog post! 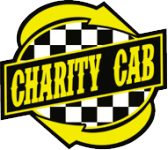 Our team at Charity Cab is proud to continue the tradition of the fast, affordable, and friendly taxi cab driver in the East Bay and beyond. We hope to hear from you the next time you’re in need of efficient transportation in the Tri-Valley. Safe travels! This entry was posted in taxi cab and tagged taxi, taxi cab company, taxi history on December 24, 2015 by rhtthvnr.